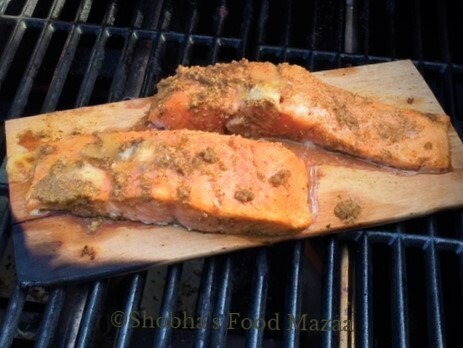 Salmon grilled on Alder or Cedar planks has a delicious smoky flavour. Just season the fish slices with any choice of ingredients you like. 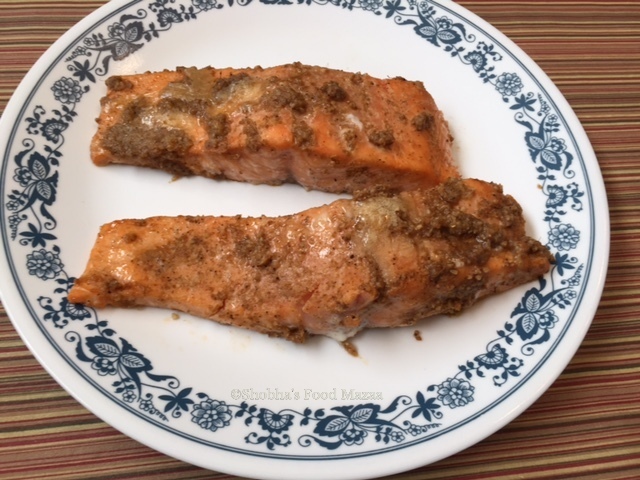 This is a great way to enjoy the flavourful grilled fish. Remember to soak the plank in water for at least 2 hours before using it. Using planks is safer for outdoor grilling. Make sure you keep a spray water bottle ready in case the plank catches fire. 1. 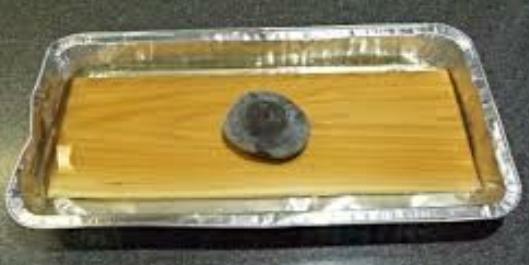 Soak the alder plank in water for 2 hours. Meanwhile marinate the salmon with all the ingredients mentioned in the list and set aside. 3. Serve immediately as it has the fresh smoky flavours. Yes, a perfect recipe for a party. Thanks for liking Rafeeda.. I made this in my son's house in USA.. they have outdoor grills. So much fun in Summer every one is out grilling stuff. You might not even get the alder planks in India. I have cooked on planks before but don't remember ever seeing alder wood. This must give it a unique flavour. Yes Heidi, it was a lovely smoky flavour. I like the idea of cooking on alder planks. They would be great for using on the BBQ too. This is done in the BBQ also Mina. I have never used alder planks for BBQ, maybe next time if I find any here. 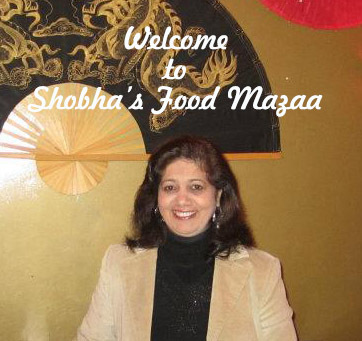 If you find it you can try some paneer in the same way.